unforgettable experience for adventurous spirits. 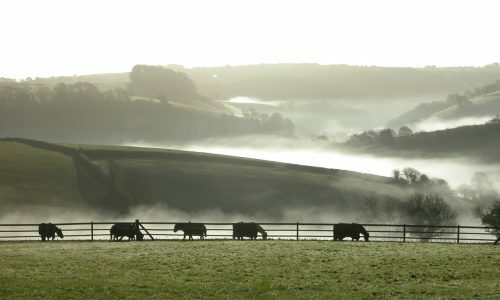 views, picturesque local towns and food delivered to your hut. 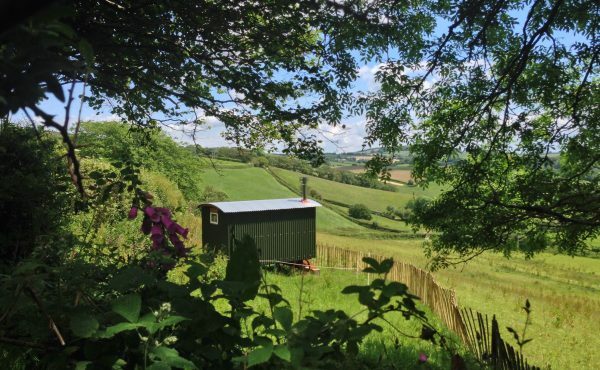 We invite you to cosy up to nature in one of two delightful shepherd's huts on our Cornish farm, for the perfect luxury camping – or Glamping – holiday. 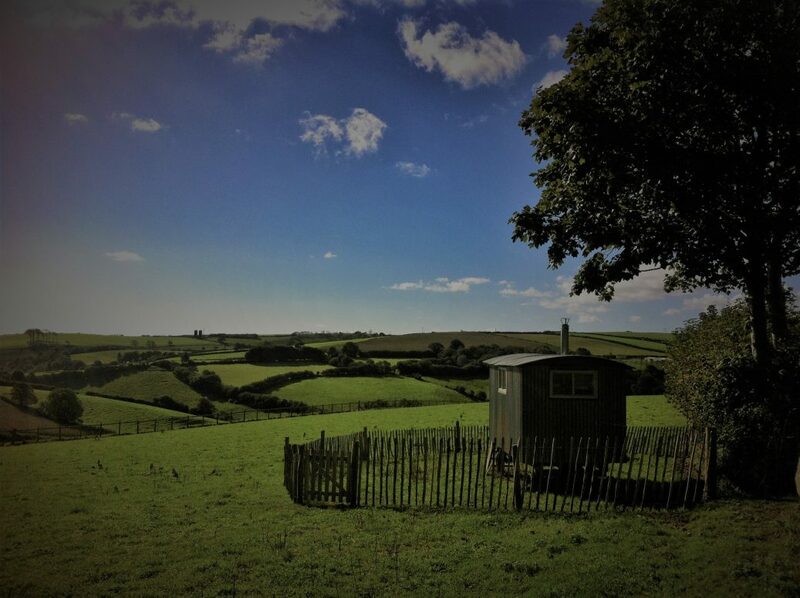 Each shepherd's hut nestles in its own idyllic setting at opposite ends of the farm with breath-taking country views. Each has a private luxury bathroom hut which you won’t have to share with anyone else. 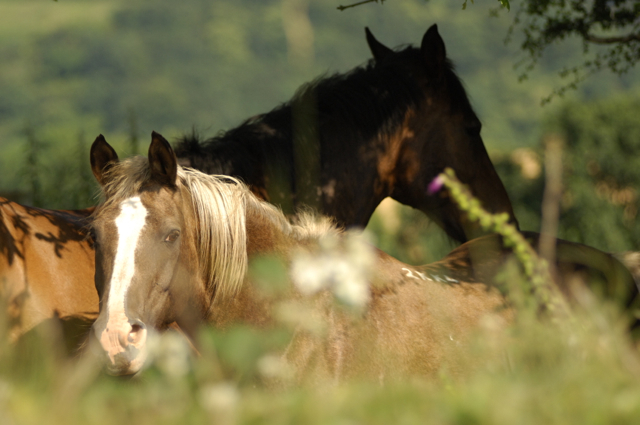 Horse riding, spa pool, tennis, farm walks and more on-site. 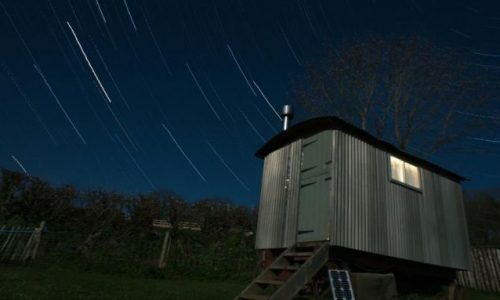 If you're looking for something more adventurous, try the romantic and spectacularly located Watch House. This remote coastal cottage is truly off the beaten track and provides a perfect holiday for those wanting a unique cliff-top retreat with stunning views and total seclusion. Peace, comfort and seclusion; the perfect hideaway. 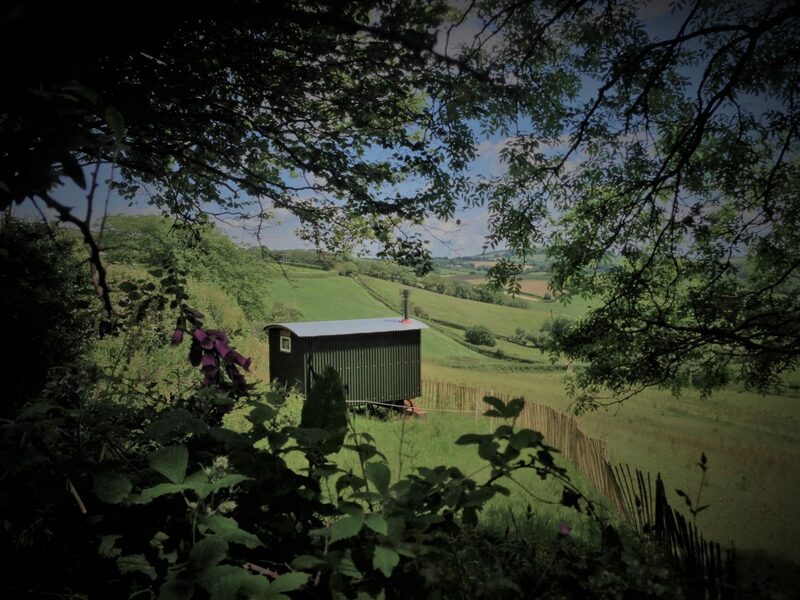 Our two huts are roughly half a mile apart on our beautiful farm and each nestles in its own secluded location with stunning views over the Looe river valley and the Cornish countryside. 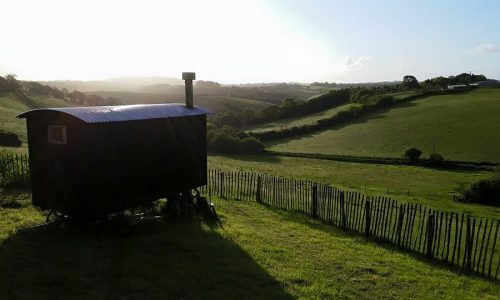 All your needs are catered for to go glamping in comfort and style, with private bathrooms, wood burning stoves and luxury pocket sprung full size double beds. 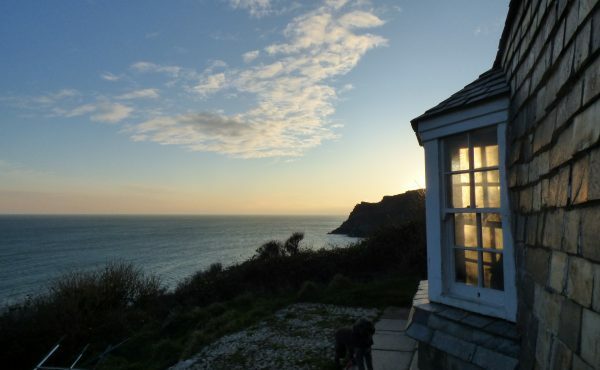 We also take bookings on behalf of the owners of the Watch House, a spectacularly situated coastal retreat that is completely off-grid. 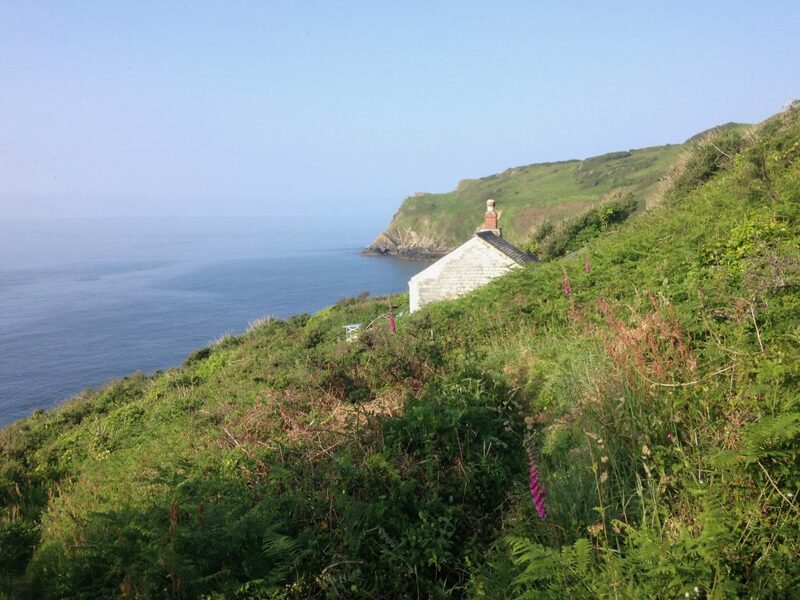 A haven for those adventurous enough for a more remote, simple but incredibly romantic experience. 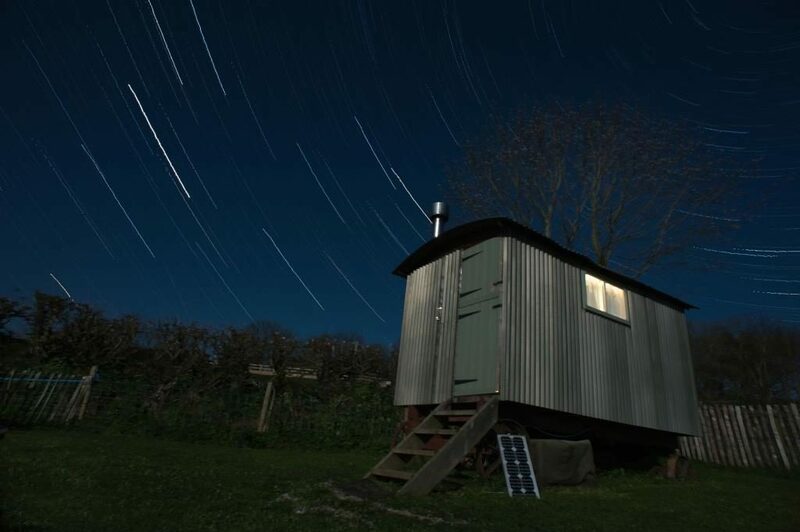 SHEPHERD’S HUT: Check in- anytime from 3pm, checkout- by 10am. LAMBING HUT: Check in -anytime from 4pm, checkout – by 11am. We welcome one well-behaved dog to both Shepherd’s Huts. See our dog friendly page for more info. 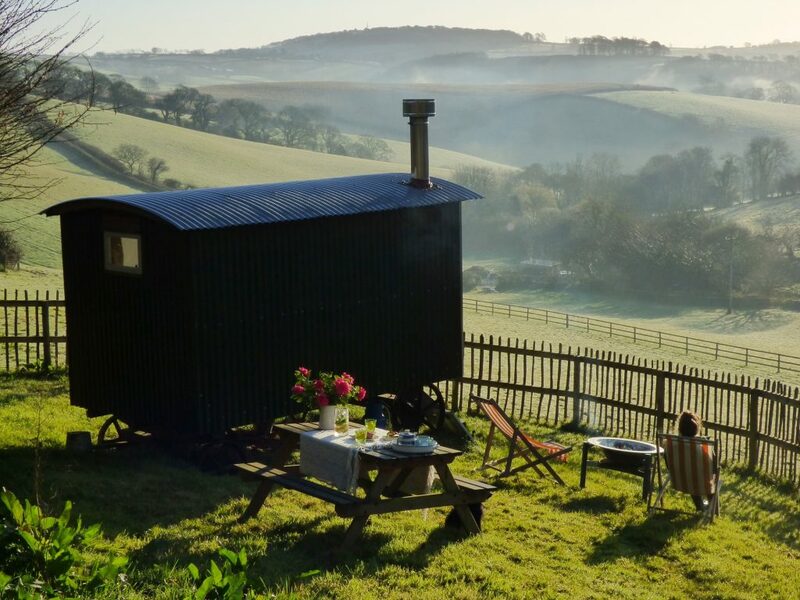 Can children camp alongside the hut? We welcome up to two children in a single tent to camp alongside either of our shepherd’s huts. 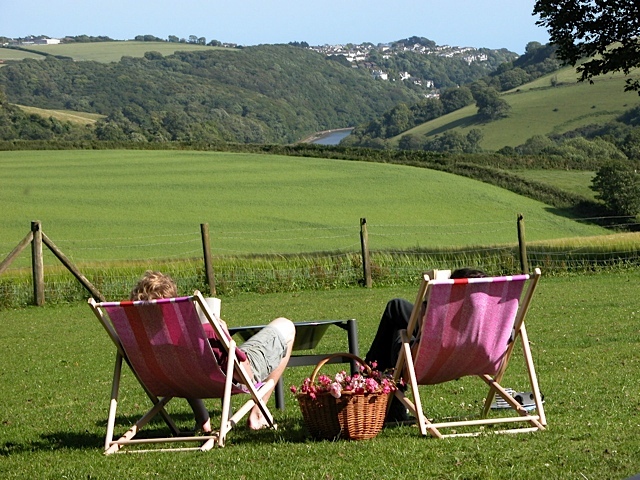 We do not have any other camping facilities. Not if you are happy to walk! 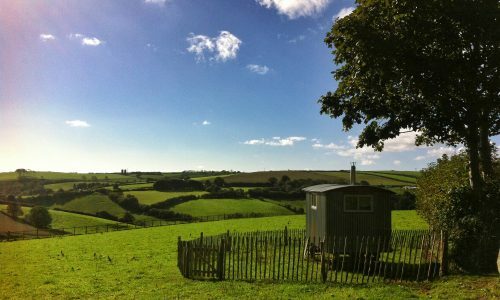 There is a little train stop called ‘Sandplace’ a 15 minute walk from the Shepherd’s Hut (25 from the Lambing Hut). On arrival we can collect you with your bags from here and drop you off at the end of your stay. The village pub is a 25 minute walk.